Seven strangers cross paths at a rundown motel called El Royale. Each harbours his or her own dark secrets and ultimately, all become entangled in a violent clash with each other. Travel back to the '60s in this action drama piece, starring the likes of Chris Hemsworth, Dakota Johnson, Jeff Bridges and more. 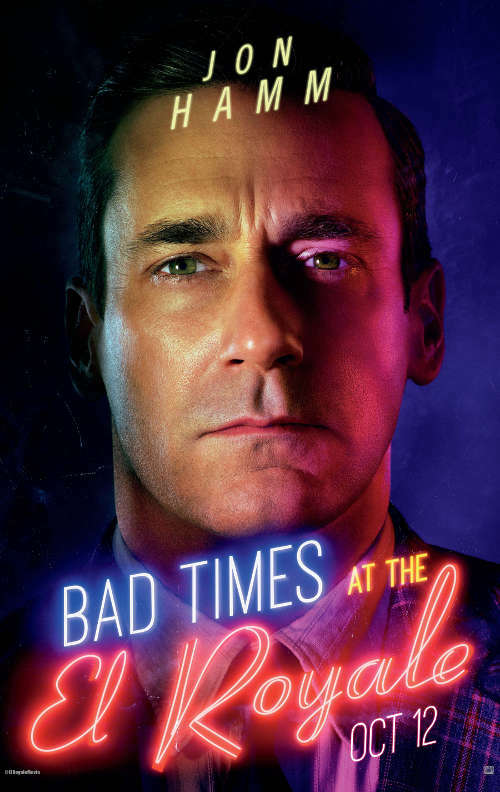 The main cast is revealed in these newly revealed posters, come and take a look at who's who in "Bad Times at the El Royale". (Note that the posters below bear the US release date but the movie is opening in Malaysia this 11 October and in Singapore on 25 October). 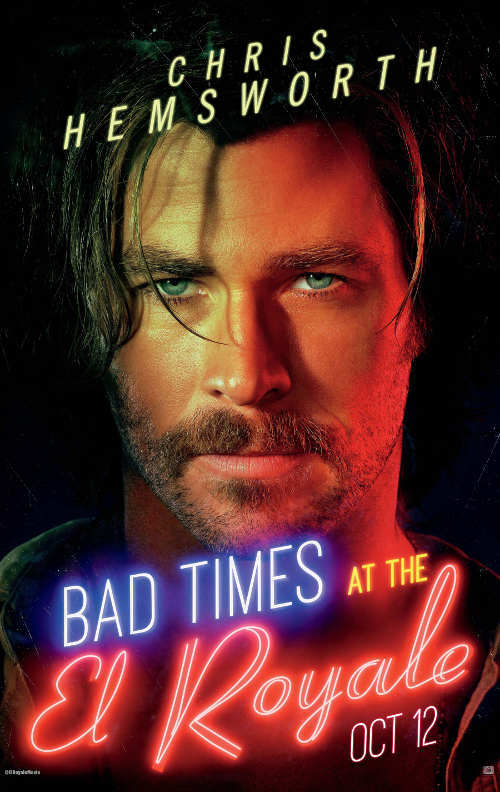 Chris Hemsworth plays Billy Lee, a charismatic and dangerous cult leader. 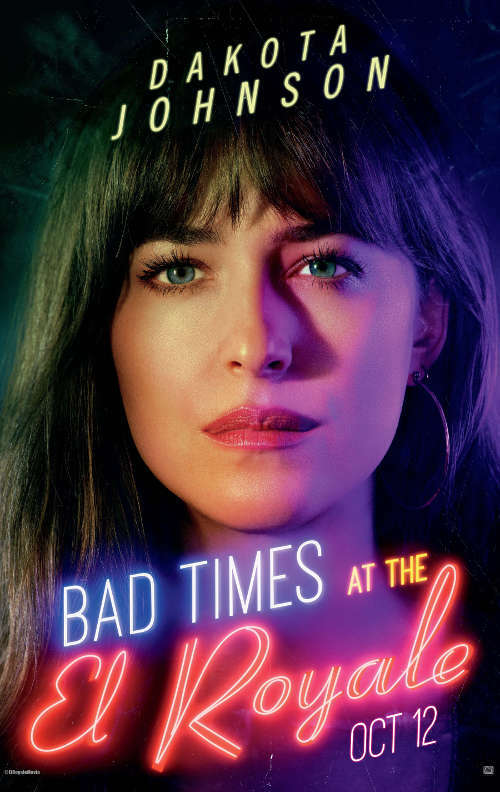 Dakota Johnson is Southern girl Emily Summerspring, who is also a criminal. 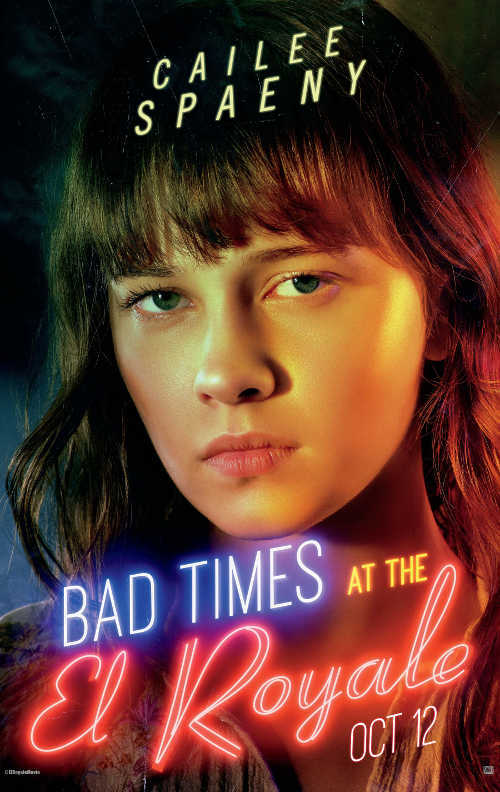 Cailee Spaeny's character is known simply as Emily's Sister. Jon Hamm's vacuum salesman character, Laramie Seymour Sullivan, might have more than just vacuums in his baggage. 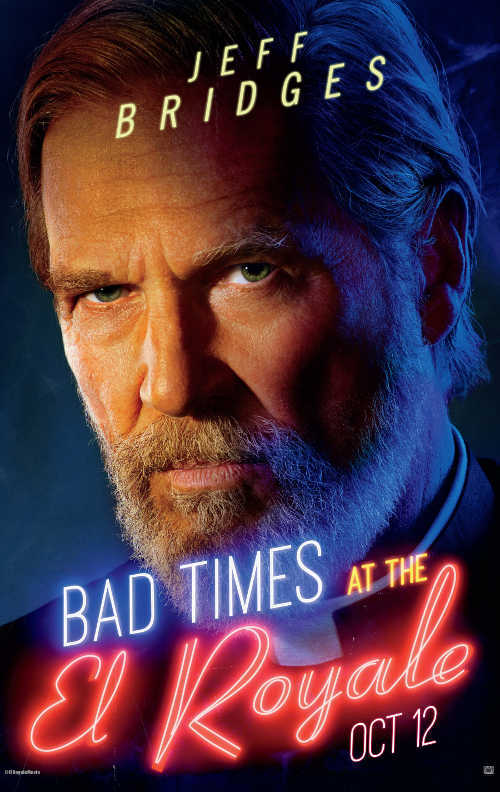 Jeff Bridges's Father Daniel Flynn is both good and bad, as he is a priest as well as a thief. 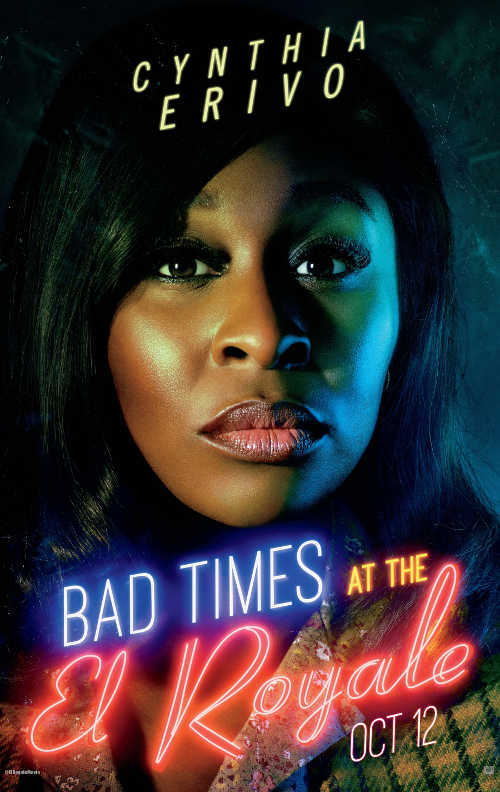 Cynthia Erivo is Darlene Sweet, who has a talent for singing but is having a hard time making ends meet. 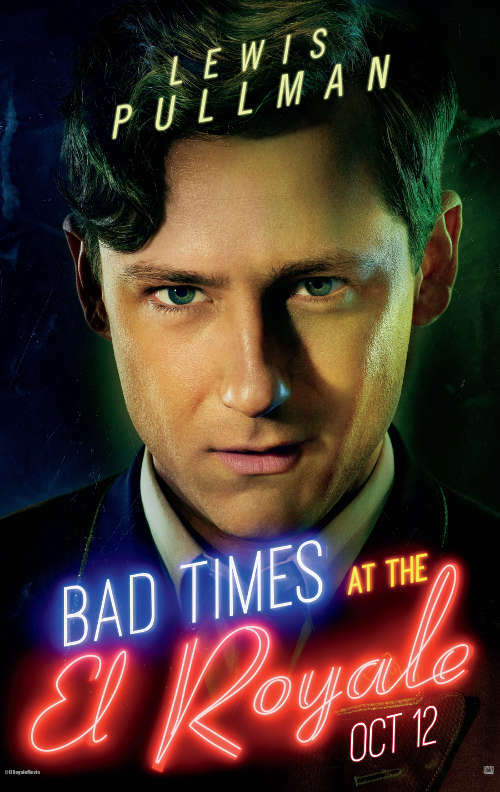 Lewis Pullman plays the concierge at El Royale.